I have worked in retail since I left college, never anything managerial or anything just normal shop work. To be honest it was the only thing I knew to do. I had a degree in Sociology but that didn't exactly lead to an obvious career, and I didn't have much confidence. Besides, I always liked working in shops and was quite good at it, 'good with people' as they say. I worked in a few shops but my favourite shop was definitely Waterstones where I worked for a few years as a bookseller. I ran the children's department at Stratford upon Avon for quite a while and loved that. But about 10 years ago I started to get itchy feet and wanted to try something else. I tried a few office things but wasn't happy. I despaired of myself at the time, but looking back now maybe some of it did have a purpose - for example I worked part time at a little design agency and also spent 12 months teaching myself web design - both of those things are really useful today. Around the same time someone I knew opened a little shop selling second hand films and music. Not my kind of thing at all but I helped out there some times, and I guess more than anything it made me realise that opening a shop was possible. 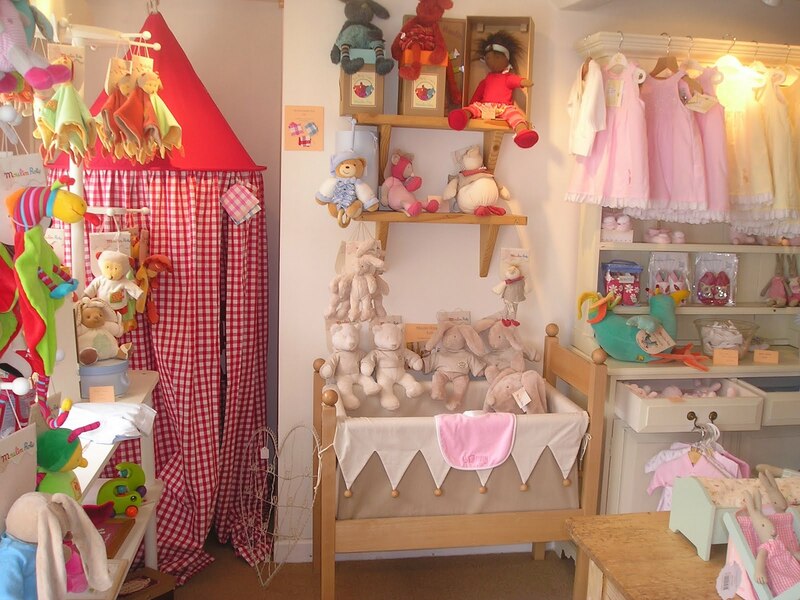 At first I was going to open a nice bedding and bathing gift shop with a nursery section and looked for premises in lots of small market towns, but when I eventually found a nice empty shop in Pershore there were too many 'general' gift shops already there. As such I amended my plans - took the nursery element of the original plan and added baby and children's clothes. We opened in 2003, but to be honest I had a pretty appalling first year. The relationship I was in broke up, I was a mess and not really coping. I didn't know if the shop was a blessing or a curse but at least it kept me going. 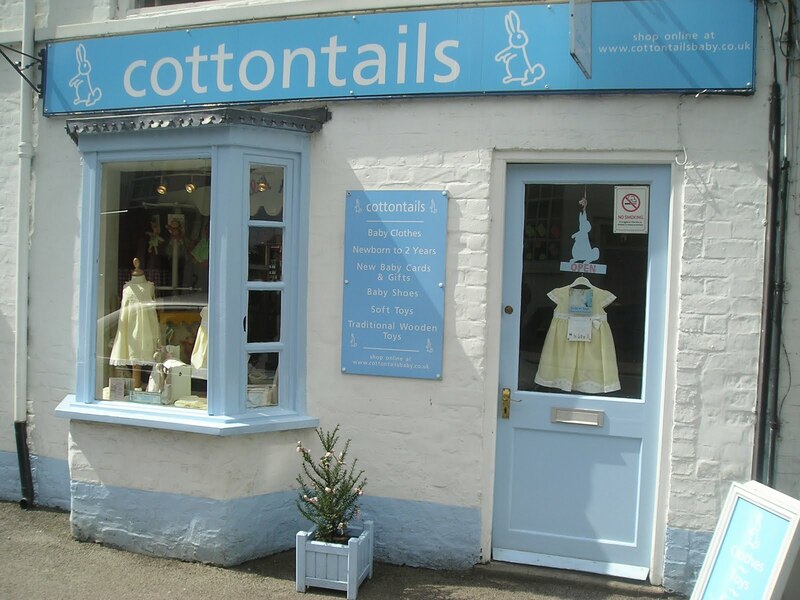 For the next six years Cottontails traded at 60, High Street, Pershore. My mum worked in the shop with me (often more than me!) and we sold mainly baby clothes and some gifts and toys. I started selling surplus stock on eBay and in 2005 I launched the website to sit along side the high street shop. And it's about here that Cottontails started to look more like the business it is today. The toys sold really well on the website - much better than the clothes. I was selling a lot of Moulin Roty toys - remember this was only 2005, the internet was a lot less saturated. Over the next few years it became clear that the shop was barely supporting itself / losing money whereas the website was (a bit) more successful. Early in 2009 I took the decision to close the shop and focus my energies online. At the same time I took a p/t evening job as a receptionist to help pay off a massive VAT bill (a nightmare story - guess who crossed the threshold without realising and had two years of back pay to find) and bring in a little extra cash. For a short while I worked from my home in Pershore, then in Summer 2009 moved over to Herefordshire to move in with my partner Mike. He works from home too (he is a cider maker - www.henneys.co.uk) and didn't really fancy sharing a working space with me (not to mention my enormous stock of soft toys), so the office in the garden was built and that is where I work today. 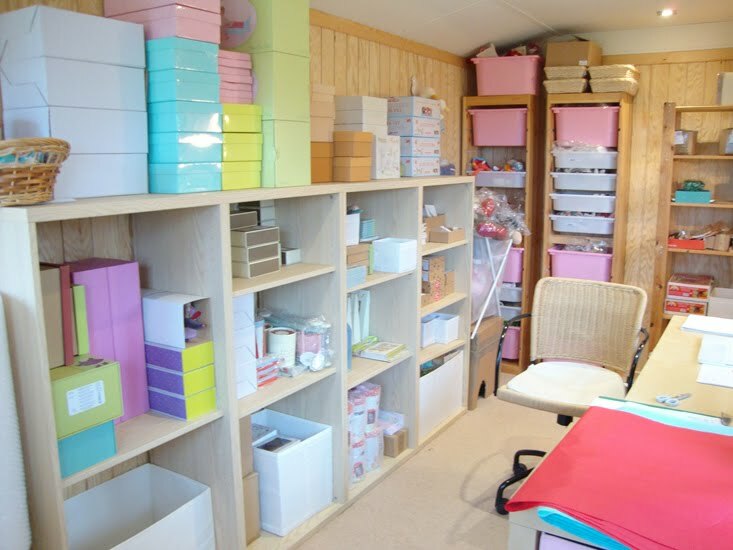 I don't have any storage facilities apart from the office which is packed to rafters with toys, and some space in the garage for the big items, and I don't have an IT department or a marketing department or anything like that. Oh what a dream that would be! But it is a lovely space, and although it has its challenges and I miss people, it's nice to work from home. Also I am able to 'use' the garden and the surrounding countryside for inspiration. Since moving here, Cottontails has become a lot more interested in nature! I work on my own apart from Humphrey. 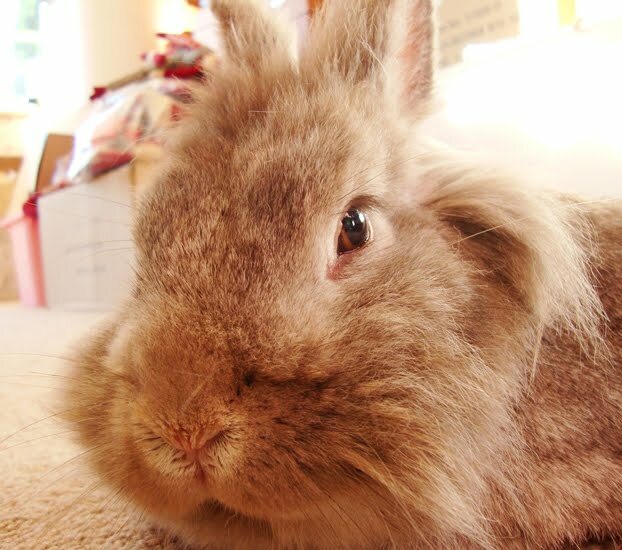 He is my rabbit, who I have had since 2004 and who I love to bits. 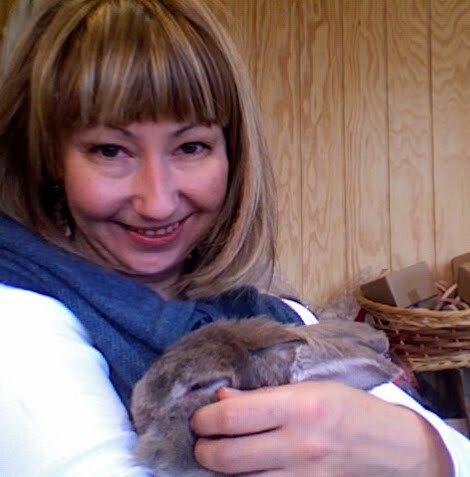 He is a house rabbit but I carry him over to the office every morning and he mainly hangs out under the desk. Every so often he hops out to try and nibble something. He is also a huge inspiration. Rabbits have been a passion of mine all my life and I think that is obvious in Cottontails. My mum, who was there from the beginning, picking up the pieces when I was falling apart during the first year of Cottontails and quickly pretty much managing the shop, even though just weeks beforehand she had been terrified of using the till. What a star. These days she still helps out in the busy few weeks before Christmas. Tamsin - who has been my web designer since day one. I knew her as the woman behind Rabbit Rehome - a website she had set up to help rescue rabbits - and emailed to see if she would help with Cottontails. We have never met! We do everything by email and she is amazing for general technical support too. And, more recently, Kaitie at Leaff Design, who has just worked with me on my first catalogue for Cottontails. 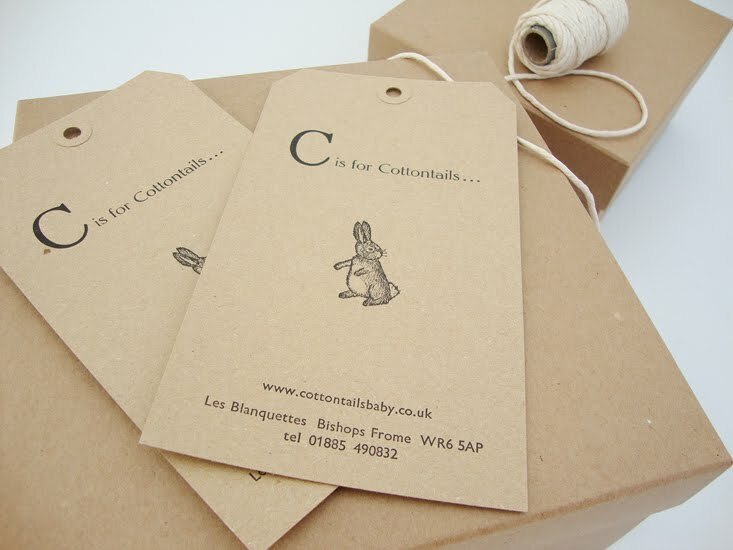 She has been lovely to work with, has really 'got' the Cottontails brand and it has been an absolute pleasure to have help with something. I am so used to having to do everything myself - it has been such a novelty to have someone quietly getting on with something in the background. As for the future, well sales are growing steadily each year which is something given the current economic climate (although believe me, it continues to be a bit of a struggle financially) and my plans for the future definitely include more handmade and ethically produced toys. I dream of making some toys of my own too... it might happen. Finally, I get asked a lot specifically how I set up the website, how I find stock, how I manage the marketing. Well I don't want to give all my secrets away and obviously things have evolved for me over nearly 10 years, but here is a quick general guide - and honestly, anyone can do this. 1. Probably do not open a high street shop! 5. Also go to trade fairs to source stock from bigger suppliers - they are free to attend if you register as a potential business. Top Drawer is my favourite. 10. And, well, that's it really! Of course there are hundreds of details to think about, but this is the essence of it really. If anyone has any questions, do email me - I am no super businesswoman and will never be a millionaire but somehow, amid the personal crises and mistakes, I seem to have created something that just about works and I am happy to share any experiences and help anyone. How lovely to find out a bit of history about you and your lovely business. I didn't go down the business loan route, instead I maxed out on my credit card to stock the shop and lulckily paid it all off in the first six months. So as you say anyone can do it, you just need access to a bit of start up cash, a bit of confidence and lots of energy for all the hard work. And lots of retail research and know how helps if you want to make a profit (I was a shop manager for 12 years). 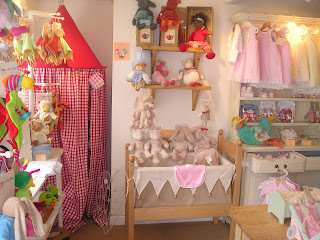 Yes the shop was lovely and gosh it was hard to let it go, particularly because my mum loved it. But she didn't like seeing me stressed and worried all the time, and even she got fed up on days when it was oh so quiet. In the end it was absolutely the right decision... within a couple of days of actually closing, I wished I'd done it long before. And these days I don't miss the shop really. Although what you say about empty shops rings a bell Sue - yes I sometimes think, oooh it would be nice and have to remind myself no, it wouldn't! Wow, what a wonderful and interesting read this was! Fantastic blogging! Thank you for sharing your experiences! It's very interesting to read your story. Such a shame you had to leave the shop, but it was obviously the right decision. I am glad that your business is going well - it is always good to hear an inspiring story! Charlotte, it has been lovely reading about you and how you built up your business. 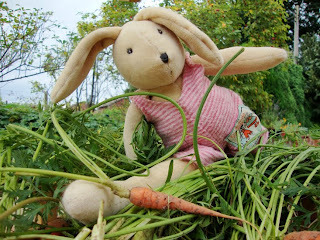 I have been buying soft toys and other lovely items from you since you first started. I now have four children and they have loved all the beautiful toys I have given to them from 'Cottontails'.